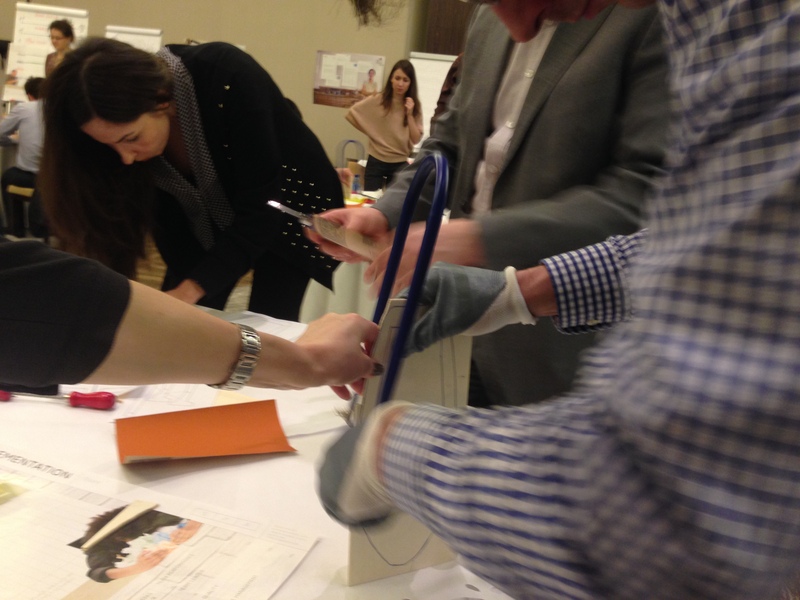 Haensch Business School Berlin > Blog > Allgemein @en > The Restaurant Manager – “Event Seminar”: business game – but real! In cooperation with our Russian partner Teatro del Gusto we thought a step further, the big event training. A balance between content and teambuilding. A Russian investment-developer came up with a specific demand to us: how to sensitize 200 employees that they have to analyse the business plans for restaurants and catering more detailed in advance. The Problem in recent years was that the rate of bankrupt restaurants has increased continuously. A major reason that our client has identified is that often the founders not systematically and professionally conceptualize the restaurants and implement accordingly. The managing director of the Teatro del Gusto (Felix Schulteß), who established the company in 10 years to one of the most successful event company in Russia, had the idea that the participants should simulate a restaurant business with a business simulation (HBS Berlin Business Simulation “Restaurant Manager”). 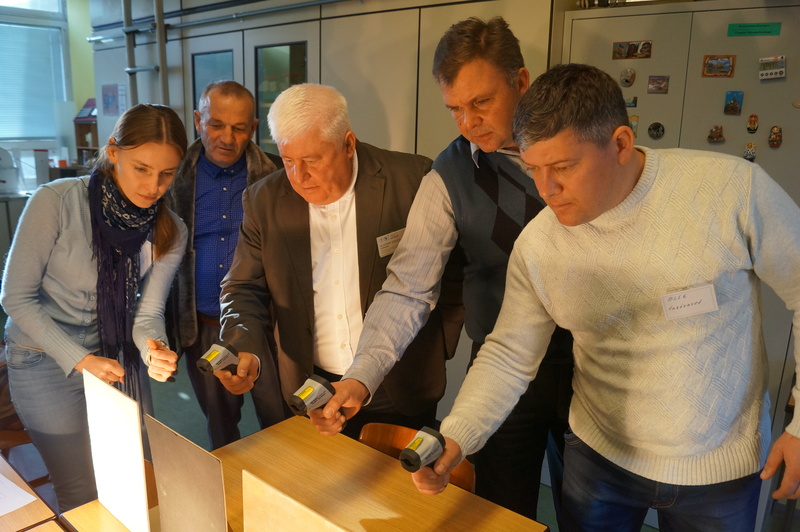 After numerous brainstorming-workshops in Berlin and Moscow following modules for the seminar arose from the initial idea. Module 1: Business simulation “Restaurant Manager” – the participants of the business game basically have an empty space of nearly 1,000 square meters. In a “corporate group” the participants have to make decisions regarding the size, design, equipment, cooking philosophy, pricing, customer segmentation, etc.. Starting with a business plan using income statement, balance sheet, liquidity, investment planning, etc.they had to calculate the most common KPI`s for the restaurant business. Module 2:. Cooking event! Next to the business simulation we built up 15 mobile kitchen and the differnt groups had not only run the simulated business but also cook a delicious dinner. 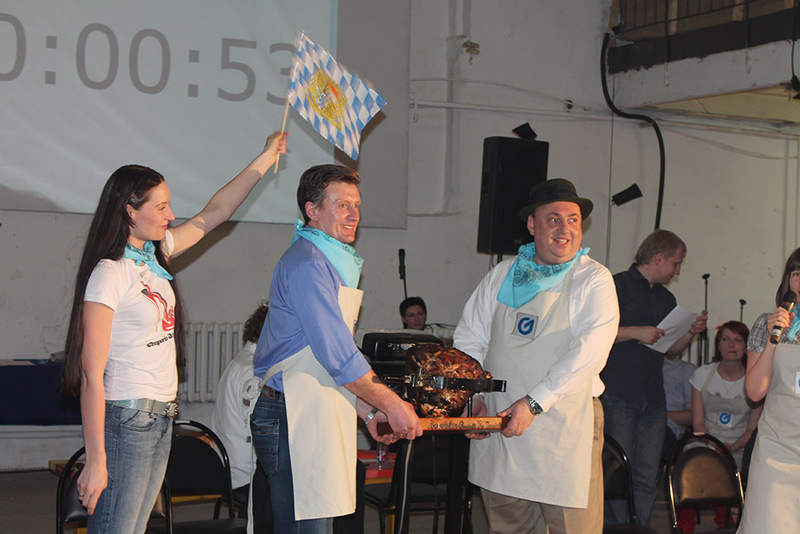 For example the group who managed a Bavarian restaurant had to cook according roast pork with dumplings. At the end the most delicious dinner and the best performer regarding the KPI´s was the winning group! Within a day the HBS Berlin and Teatro del Gusto trained more than 180 participants. This format can be naturally multiply to other industries – Hotel, trading companies, service companies, call centers etc. You have to come to us with a great idea or an interesting question.